Lectures Given at Sandplay Safari/Conference Held at Kruger Park, South Africa | Thomas Armstrong, Ph.D.
Last month, I attended a safari/conference at Kruger National Park, South Africa. 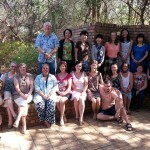 The conference was sponsored and co-directed by my wife Barbara Turner and her colleague Celia van Wyk from Johannesburg, and was held at the Berg-en-Dal Rest Camp inside Kruger Park. The focus of the conference was on sandplay psychotherapy, and the attendees were all former students of Dr. Turner’s who had come from all over the world to explore the wonders of African wildlife and share their case studies and expertise in the area of sandplay psychotherapy. Attendees came from: England, Ireland, Russia, Singapore, Malaysia, South Africa, U.S.A., and Australia (see photo above). My wife invited me to the conference to do two presentations. The first lecture was entitled How to Write a Book: From Inspiration to Publication (and Beyond), since several of the attendees were at different stages of envisioning and working on their own books. To obtain a copy of the handouts that I used (which includes the writer’s references cited in the presentation), click here. I also did a presentation on September 24, 2015 entitled The Origins of Human Development in Perinatal Life. 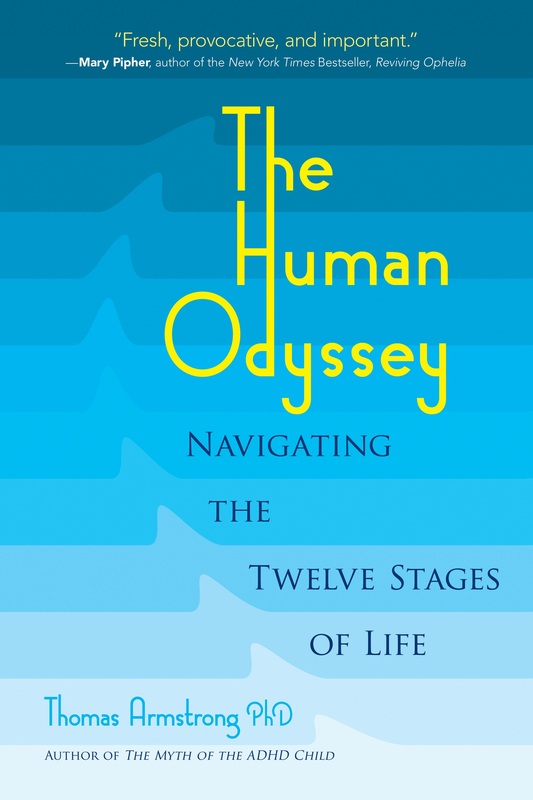 In this workshop I explored some of the material from my book The Human Odyssey: Navigating the 12 Stages of Life, including a discussion of two lines of human development (”body up” and ”spirit down”), and an exploration of ”spirit down” development in perinatal life and early childhood (using sources from literature, psychology, anthropology, psychiatry, art, and philosophy). Finally, I looked at how these two lines of development, body-up and spirit-down, intertwine in the thinking of Carl Jung and his disciples. If you’d like to download the handouts for this workshop (and have access to the books and articles I cited in the lecture), click here. The conference was a great success. 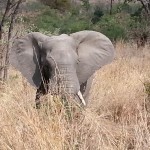 In the mornings, attendees got into cars and vans and headed out into the bush to view and take pictures of the great diversity of wildlife present at Kruger National Park. 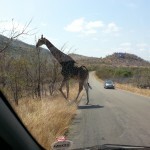 We saw giraffes, elephants, leopards, lions, impalas, wart hogs, kudos, rhinos, hippos, and much more (see photos). In the afternoon, conferees would get together at the conference center at the Berg-en-Dal camp and listen to a wide range of presentations that included workshops on the symbolism of the baobab tree and the meerkat (indigenous to South Africa) and case histories of attendees’ clients who had engaged in sandplay as a part of their psychotherapeutic process. I want to thank my wife as well as our hosts Celia and Pieter van Wyk, for putting on such a wonderful conference! For more information about Dr. Barbara Turner’s work in writing, publishing, and teaching about sandplay, click here.